Bring your professionally designed exhibit booth and branding to our exhibit hall and showcase your products and services in a design that best fits your needs. You are given 100 square feet of space in which to brand and make yours! 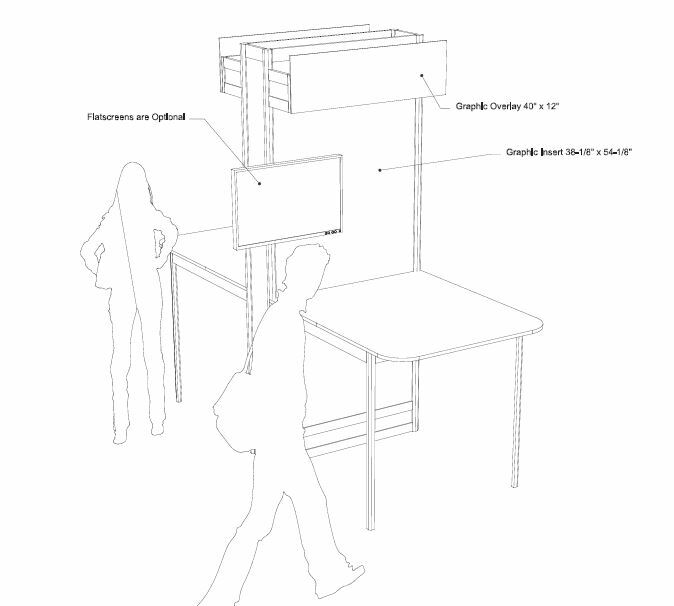 Don’t have a professionally designed exhibit booth? No problem! Exhibit with us and we’ll order for you the Turnkey Booth Display which includes your header graphic and everything in the picture. You have the opportunity to add additional graphics to increase your branding, but you don’t have to! 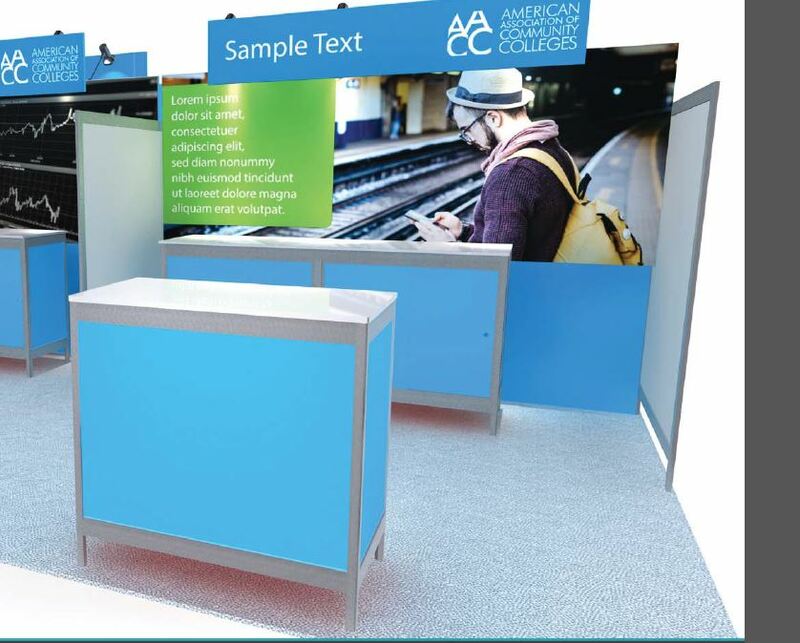 This booth display package allows you to elevate your branding and look at the show at less cost than if you were to design your own booth structure! This package includes a professional and attractive kiosk structure that allows you to showcase your products or services to attendees in an open and inviting environment. 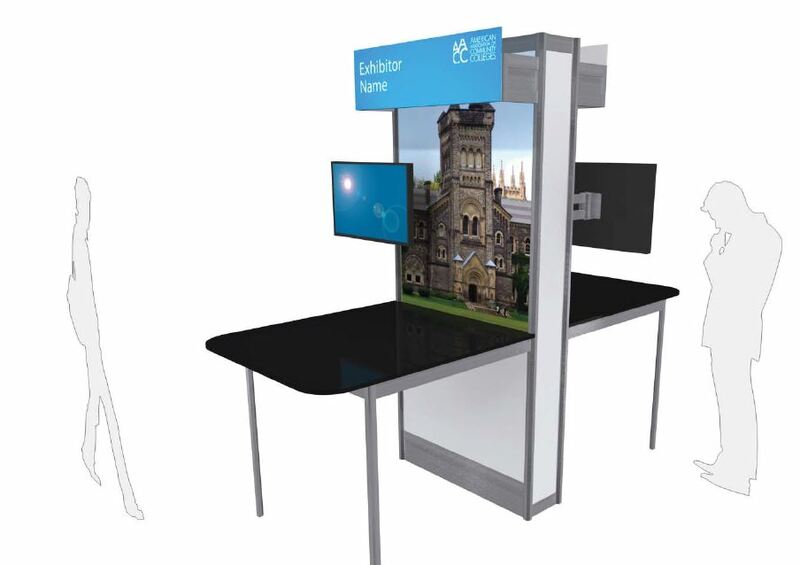 This package includes a branded kiosk structure, a monitor to run demonstrations on and electrical needed for your booth! Proud of an existing partnership and what you’ve accomplished together in progressing their institution? Share the stage and co-present with your Community College clients to showcase your successful partnership and all that you’ve achieved together. This package includes a co-presented concurrent session, a booth of your choice (traditional or kiosk), as well as an online white paper. Please note: An additional application is required for the session. If you want to cut to the chase and meet with Community College presidents right off the bat, this is for you! Much like speed dating, our Speed Networking VIP experience brings together participating Community College presidents and your corporate representatives for a series of quick and compelling one on one discussions. If it’s a match, it’ll open the door to future conversations! Following the speed networking will be a private cocktail reception to aid in your networking. This option can be stand-alone (save on the costs of exhibiting) or as an add-on to another option! This package allows you to experience the show, network and attend all sessions and events without the costs to exhibit. This package includes a full conference registration, a digital directory listing, listing in the mobile app, and the ability to schedule appointments with attendees and the option to place collateral material in our literature rack located in the exhibit hall. Looking for an exclusive marketing opportunity? We have that too! Check out the list of available items that will allow you to elevate your brand to stand out from the crowd!